Enhanced indoor and outdoor network cell-edge coverage providing a capacity increase of up to 300%. 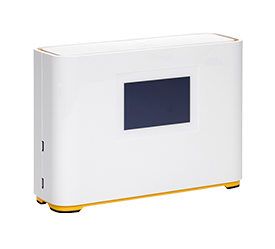 AirUnity is a multi-award-winning end user installed indoor LTE-A small cell with integrated LTE relay backhaul, designed specifically to solve the indoor mobile hotspot problem and dramatically improve network efficiency. Placing the small cell indoors right at the hotspots in enterprises and public access areas improves cellular signal quality and covering an area of up to 30,000 sq ft and thus enables greater experience for indoor users. In addition, AirUnity also provides extended outdoor coverage in the region of 100 meters. AirUnity improves network efficiency without any additional strain on the existing macro capacity. A free-standing unit with integrated wireless backhaul which can be placed on window sills, tables, and shelves. 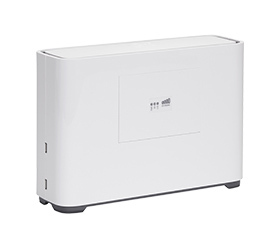 It supports LTE-A (FDD or TDD) and an optional WiFi AP (802.11n concurrent with 802.11ac). AirUnity is composed of an eNB for access, and a standard high-performance UE relay for wireless backhaul. Backhaul costs are a recognized barrier to entry for small cell deployments. Airspan’s intelligent relay products including AirUnity remove backhaul OPEX completely and enables rapid deployment to provide a cost-effective uplift in an existing macro LTE network. Additional capacity gains can be achieved by deploying dedicated backhaul to the small cells where and when the demand justifies its associated costs. AirUnity reduces costs by eliminating the need for local backhaul infrastructure and installations.